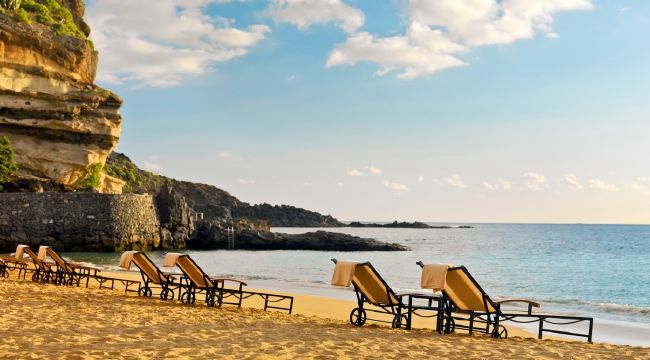 Abama Golf & Spa Resort, is a gorgeous 160 acres farm, located on the west coast of Tenerife, in Gruia de Isora, a small, tranquil and privileged town. 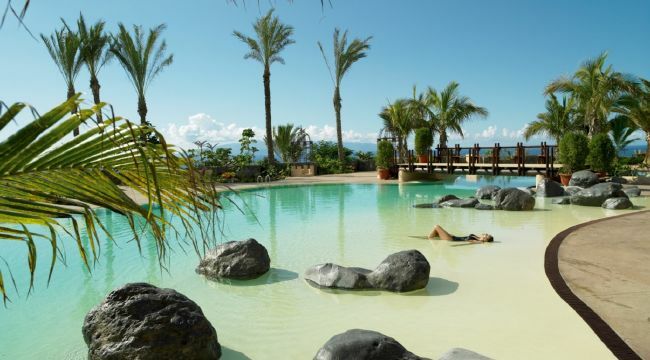 This luxurious resort has volcanic landscapes, lush vegetation with over 300 different plants, trees or palms, spectacular panoramic view of “La Gomera” island and its own beach, that is reachable by the resorts funicular. There is a Canarias.com office at this location, therefor guests have a rent-a car service and a great selection of excursions to choose from. 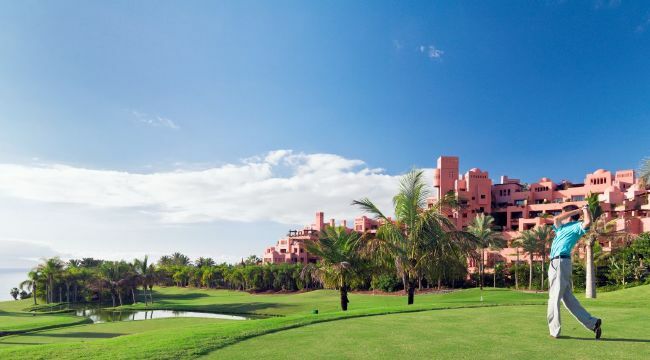 The resort has 328 rooms and suites distributed among the Citadel, and 148 exclusive villas, most of which have magnificent views of the Atlantic Ocean, the golf courses and gardens. The Citadel is the heart of Abama resort. 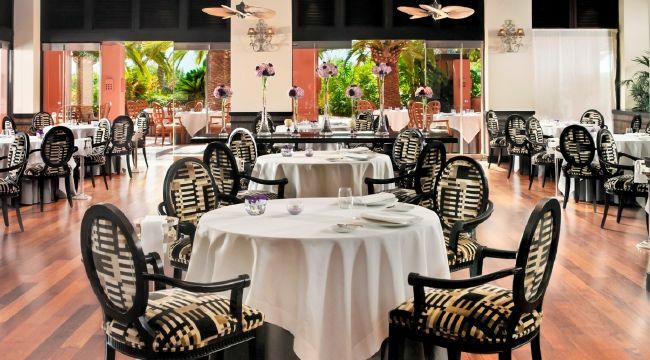 Here guests will find most of the bars and restaurants of Abama, the library, the exquisitely SPA, secret gardens, lakes and pools. 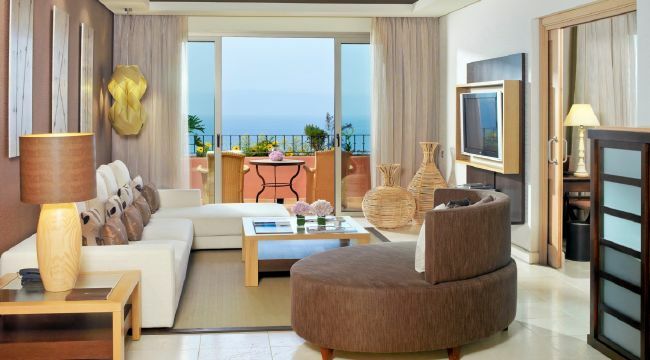 The Citadel is situated in an ideal location: between Abama beach and golf course. Both are within walking distance or two minutes aboard a buggy driven by a chauffeur. 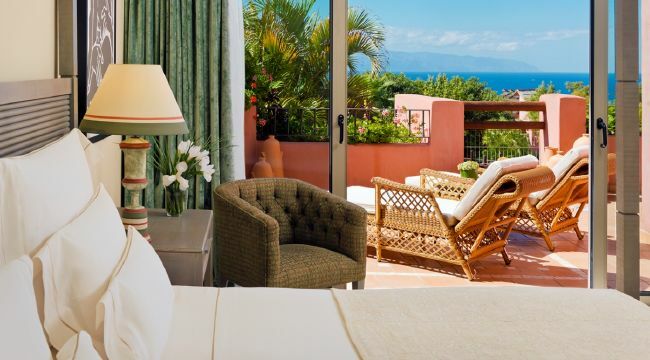 Abama Golf Resort also offers “Tagor ‘Villas”, a whole row of rooms and suites in villas reserved for adults only, ideal for couples celebrating their honeymoon, or for those seeking the ultimate in getaways, pampering and relaxation. 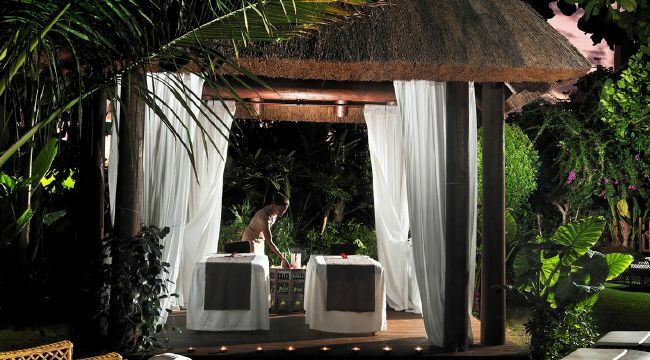 The villas are located in lush tropical gardens with direct access to an exclusive private pool. Tagor 'Villas guests can enjoy a unique experience benefiting from a wide range of exclusive additional personalized services. One of the great feature of this resort is the culinary offer, such as: MB, a signature restaurant of the famous Basque chef Martin Berasategui, (3 Star Michelin Star chef) led by chef Tinerfeño Gorostiza Erlantz recently awarded a Michelin star (*Children allowed from 6 years) ; KABUKI RESTAURANT, supervised by the Spanish chef Ricardo Sanz, famous for its ingenious fusion of traditional Japanese influences and modern Western culinary technique (*Children allowed from 12 years) ; EL MIRADOR – a seafood specialized restaurant, located on the edge of the cliff near the villas, with breathtaking panoramic views of the ocean; VERONA PAMPA - a rustic kitchen specialized in Italian and Argentinian cuisine; THE VERANDA – a breakfast buffet restaurant where guests can choose from more than 100 food specialties, including local fruits, freshly baked pastries in our pastry, prosciutto or natural fruit juice freshly squeezed. 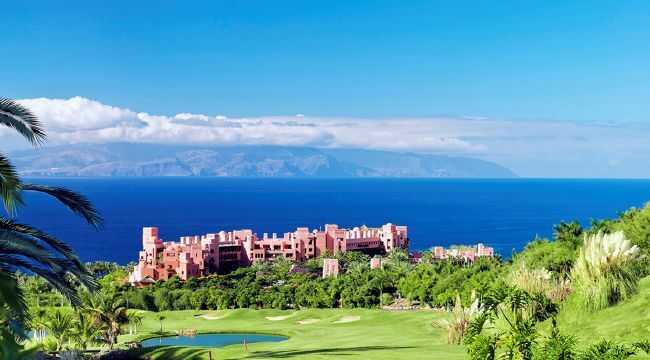 Another fantastic feature of Abama resort is the golf course. This was designed by Dave Thomas, a person with more than 50 years of experience in the golf professional industry. 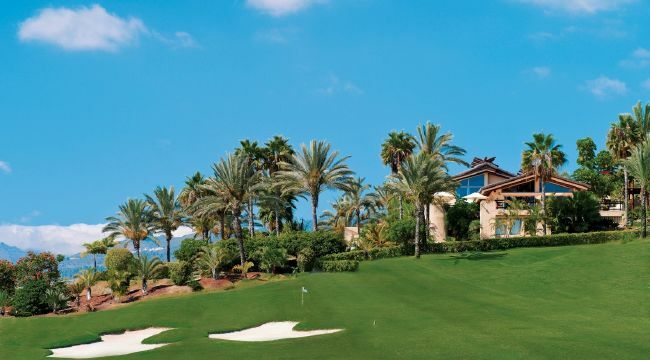 This field consists of more than 6271 meters of varied terrain, 22 lakes linked by impressive waterfalls, white sand bunkers and 25,000 palm trees. 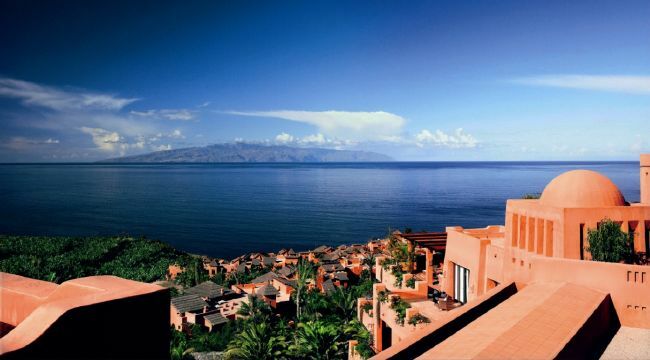 Abama resort offers its guests a wellness program which consists of a thermal water circuit, inspired by the ancient Roman tradition thermal bath. 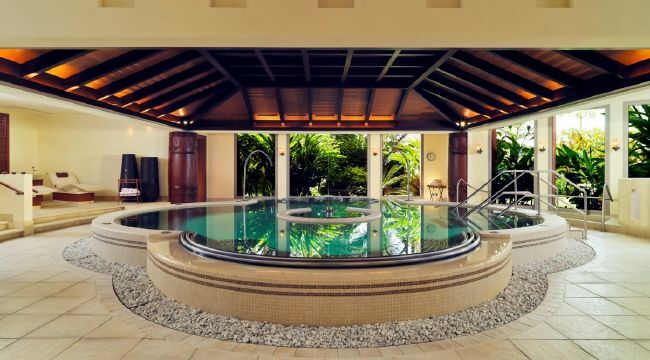 The centerpiece of the wellness room is a stunning hydrotherapy pool designed to stimulate and purify the lymphatic system with its variety of jets. 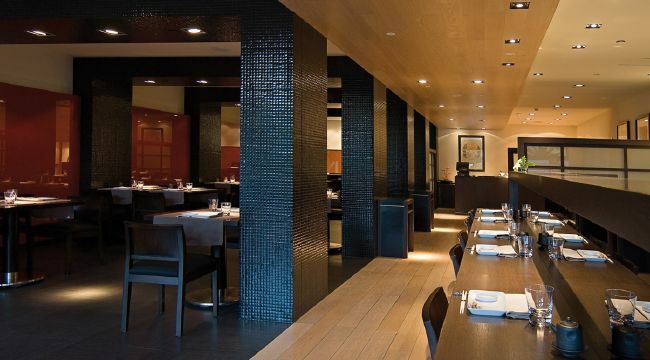 The space also includes a sauna and various steam rooms, and a fully equipped hammam. Other amenities include a cold pool to stimulate the circulation and artificial snow cabin, one of the few in Europe.